Information on this web site may contain technical inaccuracies or typographical errors. Information may be changed or updated without notice. Northern Computer may also make improvements and/or changes in the products and/or the programs described in this information at any time without notice. 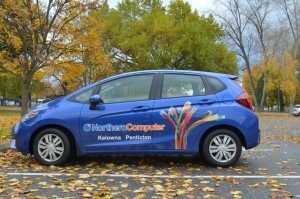 Northern Computer does not want to receive confidential or proprietary information from you through our web site. Please note that any information or material sent to Northern Computer will be deemed NOT to be confidential. We will not release your name or otherwise publicize the fact that you submitted materials or other information to us unless: (a) we ask your permission to use your name; or (b) we first notify you that the materials or other information you submit to a particular part of this site will be published or otherwise used with your name on it; or (c) we are required to do so by law. All trademarks mentioned herein belong to their respective owners. Unless identified with the designation “Copy Freely”, the contents of this web site is copyrighted by Northern Computer. In consideration of this authorization, you agree that any copy of these documents you make shall retain all copyright and other proprietary notices contained herein. Individual documents published by Northern Computer may contain other proprietary notices and copyright information specific to that individual document. Nothing contained herein shall be construed as conferring by implication, estoppels or otherwise any license or right under any patent, trademark or other property right of Northern Computer or any third party. Except as expressly provided above nothing contained herein shall be construed as conferring any license or right under any copyright or other property right Northern Computer or any third party. Note that any product, process, or technology in this document may be the subject of other intellectual property rights reserved by Northern Computer and may not be licensed here under.